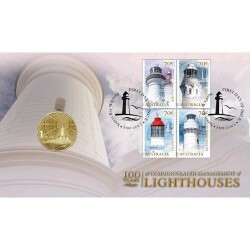 Here you will find Australian Postal Numismatic Covers issued during 2015. 2015 PNC's There are 35 products. 2015 50c Princess Charlotte of Cambridge Coin & Stamp Cover PNC. Her Royal Highness Princess Charlotte of Cambridge was welcomed into the world at 8.34 BST on 2 May 2015. 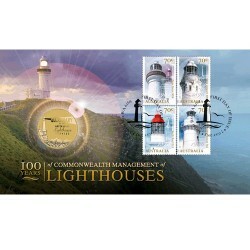 2015 $1 100 Years of Commonwealth Management of Lighthouses Perth Mint Coin & Stamp Cover PNC. On 1 July 1915 the Commonwealth of Australia officially accepted responsibility from the State Governments for all landfall and coastal lights around Australia. 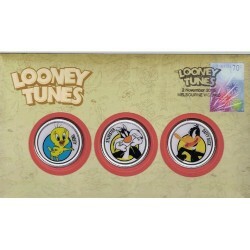 2015 Looney Tunes Limited Edition 3 Medallion Cover Featuring a full colour medallion of Tweety, Sylvester and Daffy Duck. 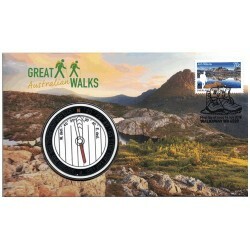 2015 Great Australian Walks Limited Edition Medallion Cover PNC. The varied and spectacular terrain of Australia is a bushwalkers’ paradise. In the mountains and the Red Centre, as the coast and in the forest, many popular walking tracks traverse the country. 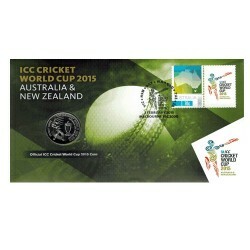 2015 20c Netball World Cup Sydney Coin & Stamp Cover PNC. 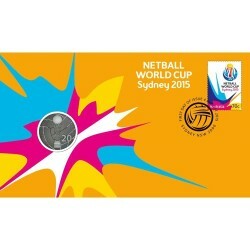 As Australia prepares to host the Netball World Cup 2015, the Royal Australian Mint has released a spectacular silver domed coin and a commemorative 20c uncirculated coin. These coins are a testimony to Australia’s connection to netball and the continued growth and impact of the sport globally. 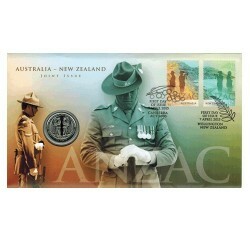 2015 50c ANZAC Australia - New Zealand Joint Issue Coin & Stamp Cover PNC A century has passed since the Australian and New Zealand Army Corps (ANZAC) was formed Egypt, prior to deployment to Gallipoli. 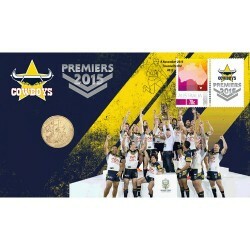 2015 $1 NRL Telstra Premiership Cowboys Coin & Stamp Cover PNC. The stuff of legend was created during the 2015 Telstra Premiership Grand Final at the Sydney Olympic Stadium. 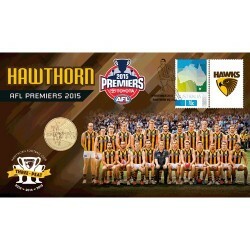 2015 $1 AFL Premiership Hawthorn Hawks Coin & Stamp Cover PNC Thronging fans at the MCG were treated to a scorching day on what turned out to be the hottest Grand Final, with the mercury edging above 31 degrees. 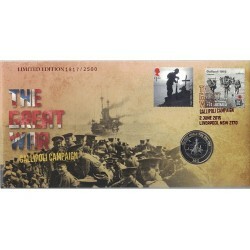 2015 £2 UK The Great War Gallipoli Campaign Limited Edition PNC This limited edition UK Coin & Stamp Cover features a Stamp photograph : Remembrance memorial at Cape Helles and United Kingdom stamp design: Hat-Trick design Royal Mail Group. 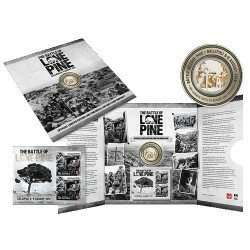 2015 Battle of Lone Pine Medallion Album Limited Edition The Battle of Lone Pine Medallion Album is an impressive and unique collection and in a Australian first, the folder includes a minisheet featuring shavings from the AWM Lone Pine tree as part of the printing process.